8×8 have been around a long time, almost twenty years in the VoIP business so have built up a lot of experience and a large customer base. They have evolved from a VoIP service company to a cloud -based provider of IP PBX capabilities and features for the SMB market. During this time they will have learned what works and what doesn’t with regards pricing, plans and feature sets, so let’s take a look at their business plans for their cloud based virtual phone systems and how they compare with the competition. Metered Extensions – this is a cost effective plan for a phone extension that makes few outbound calls. The plan includes 250 minutes of calls to destinations within the US and Canada. The overuse minutes are charged at +2.9 cents/min thereafter. This VoIP phone service plan costs $24.99 per month. Unlimited Extensions – this plan provides for unlimited calls per extension to the US, Canada, Puerto Rico, Guam, US Virgin Islands, France, Ireland, Italy, Spain and the UK. However, if you want video conferencing and call recording you will need to order the Unlimited Extension Pro Plan. This business VoIP solution costs $39.99 a month. The global plan is priced at $54.99 per month. The good thing about having these separate VoIP plans which are assigned per extension is that you can easily select the most cost efficient plan to suit your own business model at the extension\user level. Consequently, it should be easy with some planning to save on extensions that make few calls, and importantly on the extensions assigned to heavy users, those making frequent international calls. Neither of the service plans Office and Office Pro comes with any installation fees though there is on virtual extensions a $19.99 one off activation fee. This is much in line with their competitors however where 8×8 standout from the competition is with their cancellation fees. So be warned if you sign up for two or three years you are going to be stuck with them. Furthermore, if you should cancel a service plan associated to a physical phone within the first 12 months, they will charge a disconnection fee of $59.99. Moreover should you have the audacity to cancel a Plus extension service plan within the first 24 months they will charge you a disconnection fee of $200 per extension. 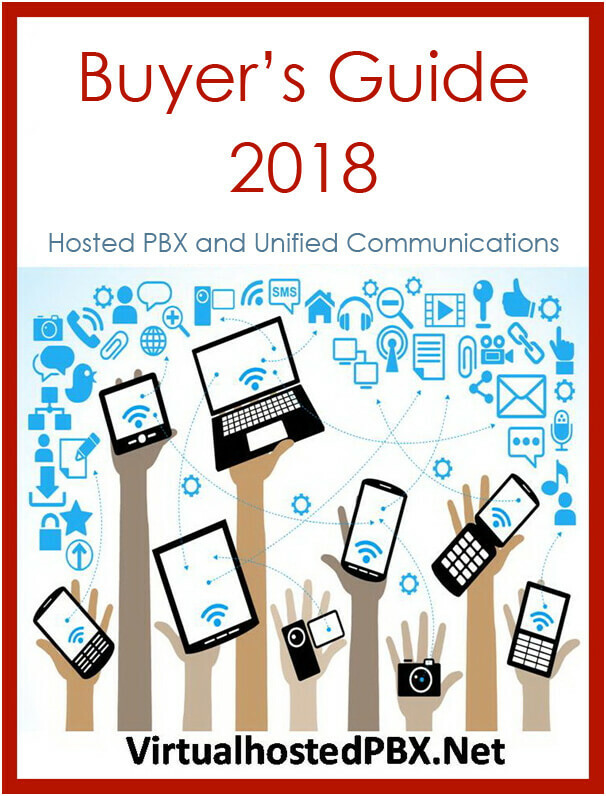 These are the most onerous termination fees that you are likely to come across when purchasing a cloud-based PBX solution, so be warned and read the terms and conditions of the contract! So now that we have considered the costs, regards the plans and the installation/termination fees let see what you are getting for your money? The two business plans are very similar with regards features, although Business Office Pro does have some additional features. Therefore, let’s have a look at the features that are common to both plans regardless of the VoIP extension plans chosen. Mobile Apps – an essential modern feature for a business PBX system. Mobile apps enable the handling of calls for employees who are out of the office and working from their personal mobile phones. This feature integrates the BYOD phones into the virtual phone system so that employees can make and receive calls as if from a company desk phone. Conference Calling – Office and Office Pro both support audio conference calls as standard options. Office Pro also supports video conference calling. Voicemail-to-Email Notification – sends alerts to email that a voicemail is awaiting your attention. Business SMS/Texting – supports chat, business SMS, which tracks all, send, receive text messages to contacts, and provides presence detection. Ring Groups/Hunting – this feature allows extensions in a department to be grouped together and incoming calls are send to any free extension defined by a policy, such as round robin, or least busy. Call Park – this is another call center feature that allows you to park a call whilst you handle another. Web Click to Dial – this is a handy feature to add to the company website that allows a customer to call you with one click on the screen icon. Business Application Integration – these connectors allow integration with many business applications such as Salesforce, Netsuite, and Zendesk. Online Administration – this is an easy to access web portal for administration of the Office and Office Pro systems. The company’s own system administrator, to setup and manage extensions and features, accesses the web portal. There is also another feature Office Online that permits users to access and configure their own extensions/voicemail. Direct Phone Number – this feature provides a direct dial (DID) telephone number for each extension so that it can be accessed directly. What is more you can choose your extension number from any area code you wish, it does not necessarily have to be where you are located. Voicemail to Email – this is another standard feature whereby voicemail is sent as MP3 files to an email account of your choosing. Video Conferencing – is permitted on Office Pro extensions in addition to the standard audio conference bridging for up to 19 participants. Internet Fax – If you have a Office Pro extension you can send and receive internet fax from any computer using the virtual Office online dashboard. Call Recording – record, playback and delete incoming and outgoing calls from any Office Pro extension on an, always on, or use on demand, basis. In addition to all the standard Office business features, the Call Center edition provides those features required to host a virtual call center. These features are essential for managing a contact center however, some of the queuing methods could have been incorporated into the business Office plans, as that is one area where they are lacking. Digital Agent Routing – this feature allows an agent to provide a caller with a direct call back number to ensure they are connected to the same agent dealing with their issue when they call back, this can close sales or issue tickets quickly. Desktop Sharing – this is one of the valuable collaboration tools that allows an agent to share out their desktop for a presentation or to take control of a desktop for configuration. CRM Integration – this is an essential feature for any virtual contact center as it allows integrating between the Caller ID and the CRM caller records. What this means is that upon detecting the Caller ID on an incoming phone the system can send a request to the CRM for that Caller’s records and history. These will open automatically on the agents screen enabling the agent to address the caller personally and have their call history or case history to hand. This is a great feature lacking in most of the other competitors cloud PBXs. Reporting and Monitoring – In addition to historical call reporting 8×8 provides real time monitoring which is another essential contact center management feature non-existant in the competitors’ offerings. This real time monitoring facilitates using wallboards to monitor current status of agents and call queues. This is a great feature as it permits a contact center administrator, especially if it is a distributed one with agents working from home, to manage the call queues, agent performance and to track the operational KPI’s in real time. This feature is a big plus for 8×8 if you are considering a virtual contact center solution. Workforce Optimization – another great feature rarely present in the competitions contact center editions. These features allow an administrator to track agent performance in real time in addition to providing powerful forecasting, scheduling and reporting capabilities. If you are looking for a basic easy to install and manage virtual PBX phone system than 8×8 may well be for you. The Office and Office Pro suites provide all the basic functionality that any SMB would require and all through an existing internet connection. There are some good points and bad with regards the service plans and pricing. The plans provide sufficient diversity to allow an administrator to apply the most cost effective plan on an individual extension basis. However, the costs of cancelling the service is onerous and should be taken into consideration ($59 per extension disconnect) and no refund on unused months. With regards standard features, the cloud based virtual phone system from 8×8 has only limited features as standard in the Office and Office Pro pack but one of the features the integration with various CRM and accounting packages sets it head and shoulders ahead of its rivals. This ability to integrate with Salesforce, SugarCRM and other CRM/accounting packages is a major differentiator as it allows you to do so much from a productivity and efficiency perspective. Another really great feature that sets 8×8 it apart from the field is in the Contact Center edition. The real-time reporting and monitoring is an essential feature for administering a virtual contact center of any size as it enables the supervisor to see exactly what is going on with regards calls in queues, calls waiting, call pick up times and individual agents performance. Few if any of the competition has these features enabled. This feature alone makes 8×8 one of the top choices for a virtual contact center and combined with its CRM integration capabilities makes 8×8 a really capable, outstanding and professional virtual contact center solution.